Article: Hierarchies: Tall or Flat, Take a pick! 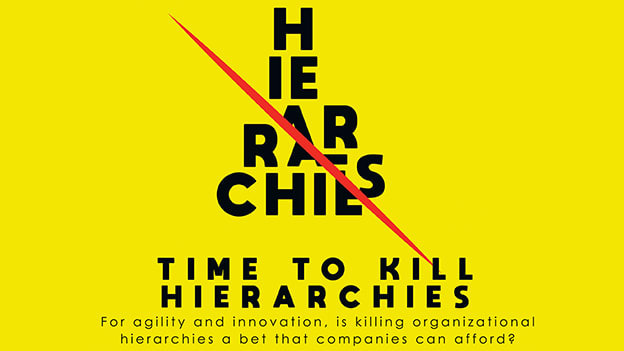 With a greater onus on innovation and agility at the workplace today, is killing organizational hierarchies a bet that companies can afford? Are flatter organizational structures really the answer? So rather than asking the question “Do hierarchies work or flatter structures?”, the question should be “What does the workforce of today demand and need?” or “Does innovation really depend on organizational structures?” or “Is it about hierarchies, flatter organizations, or open communication channels?” The questions go beyond organizational structures to encompass issues related to leadership, engagement, and innovation. How prepared are our organizations to address them? Prof TV Rao, Chairman, TVRLS & Founder President, NHRDN: Time to kill hierarchies: We did it six decades ago - why not now? Nanjappa BS, Vice President - HR, Infosys: No one ever did anything awesome or great just because they were told to!